The best part about anything custom made is that you can — if you’re creative — make those products last forever. The value becomes timeless. Worth every penny for that one item for a very long time. Typically companies and brands want to use anything logo printed as gifts or promotional items. Here’s a key secret about getting certain customers coming back always — daycares, professional daycares, can not only brand their building. But those custom printed stuffed animals kids will use all the time while enjoying their time. Again, the value is obvious…. Those stuffed animals end up staying with your facility. And then what happens? Those children want back to the safe haven that is your brand. Can parents resist? No, absolutely not. We understand, however, how important it is that some kids might want to bring home some of their loved items, which can also be a possibility, but one thing’s for sure…. Families will still see the value and always come back for me. Retention is key when it comes to daycares. So make the best of it and invest in the items that make all the difference in your business. Stuffed Teddy Bears, Turtles, Veggies, Horses, and Bumblebees! Oh, My. It’s all here right at BRAVA Marketing. You can actually view all the selections we have via this link, and then it’s all up to you on what designs you want to have for your establishment. Find something you like? You can purchase any or all of that in bulk — and it becomes a part of your brand instantly. What are you waiting for? 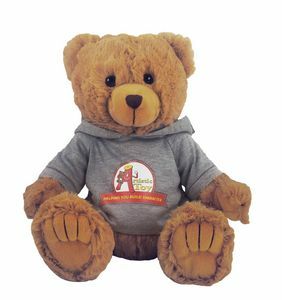 Contact us right now after finding custom stuffed animals you know kids will love while making your brand a household name for parents all over.